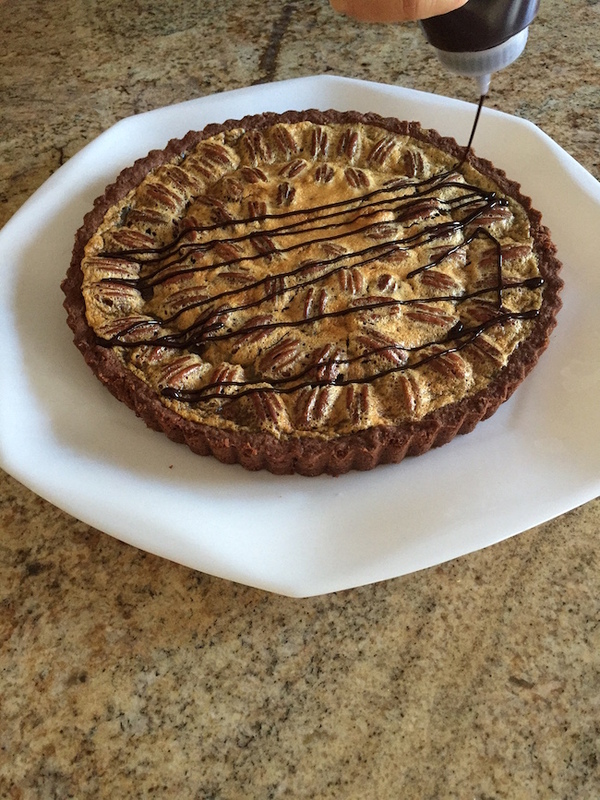 This Thanksgiving Feast dessert is so easy to make and is always a crowd pleaser! 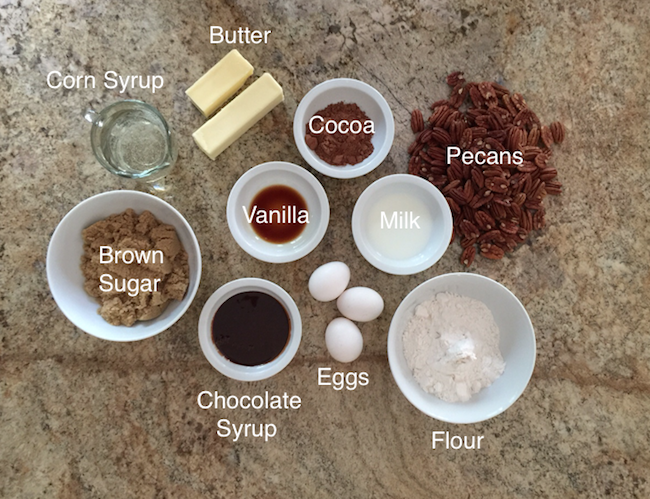 Combine flour, brown sugar and cocoa in food processor. Cut butter into pieces, then add to food processor until coarse pieces form. Add milk and vanilla to mixture and combine until just blended. Bake in oven for about 15 to 20 minutes or more until cooked through. Slightly toast pecans at 350 degrees for about 3 minutes. 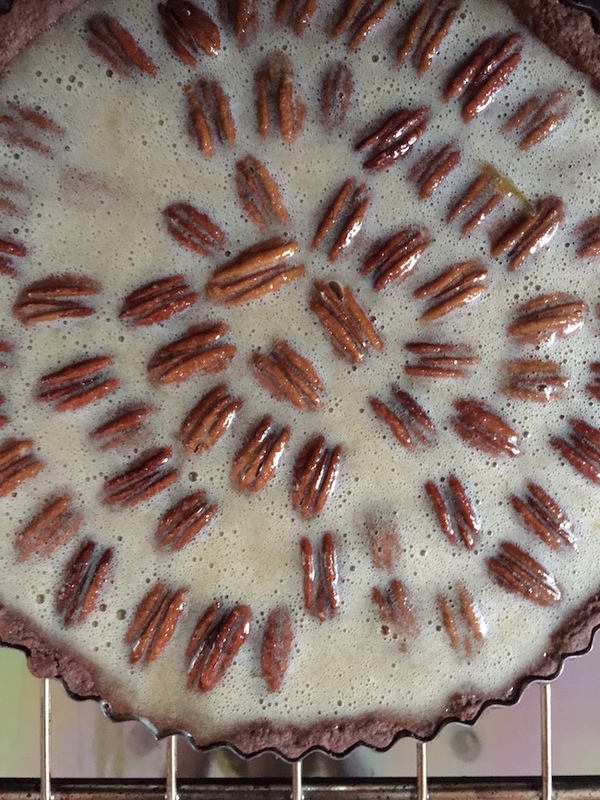 Line bottom of cooked chocolate tart crust in a pretty pattern with toasted pecans and let cool. Stir in melted butter and corn syrup. Bake for 35 to 45 minutes till set and beginning to brown. 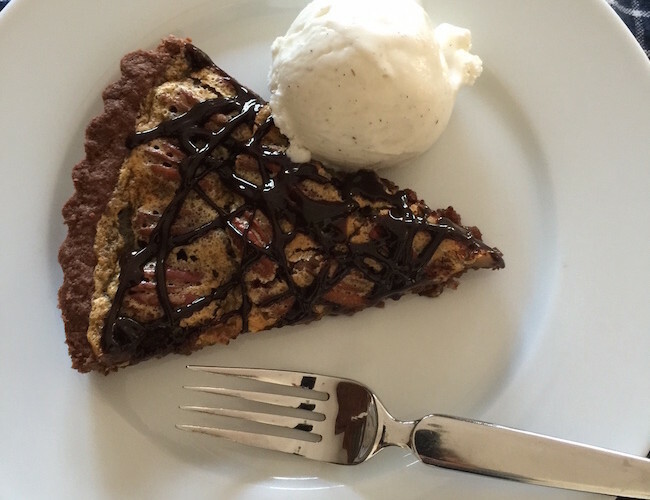 Cool completely and decorate top with chocolate syrup. Served chilled or at room temperature. of the pan. I then decorate it the day of or day before the event. Preheat oven to 350 degrees. Combine flour, brown sugar and cocoa in food processor. Cut butter into pieces, then add to food processor until coarse pieces form. Add milk and vanilla to mixture and combine until just blended. 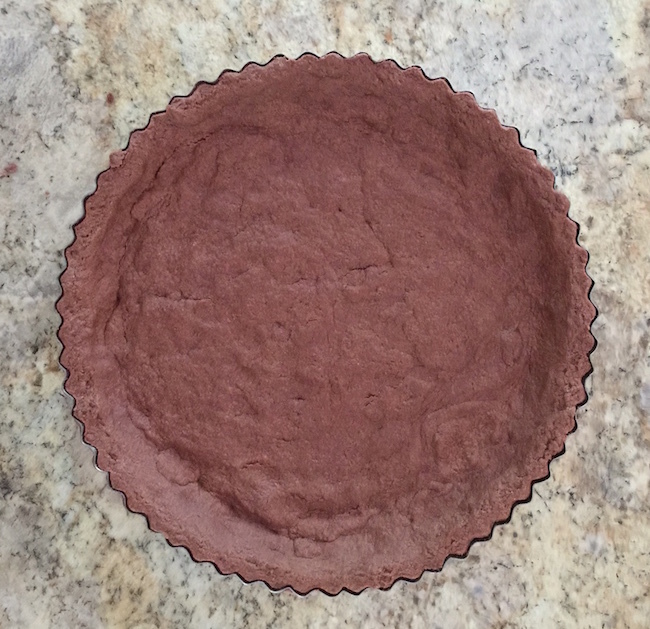 Using 9” or 10” tart pan with removable bottom, press dough up the sides and evenly cover the bottom of the pan. Bake in oven for about 15 to 20 minutes or more until cooked through. 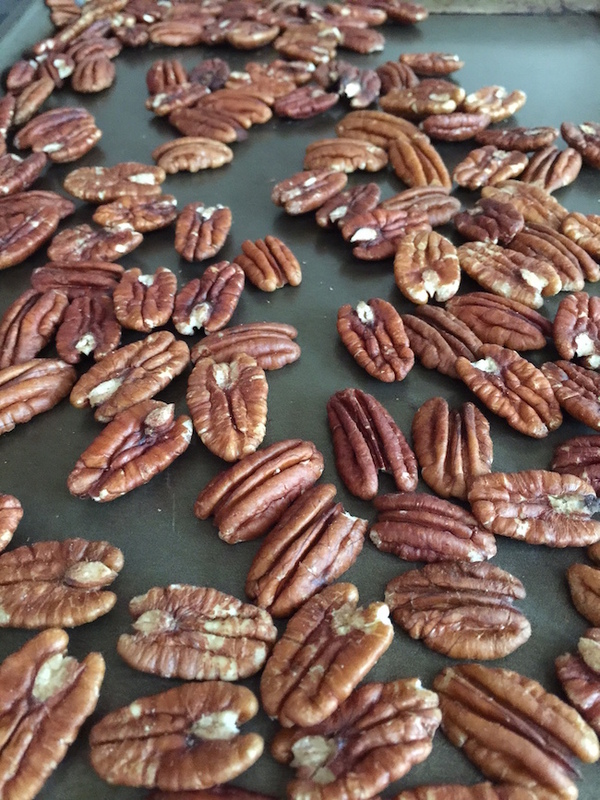 Slightly toast pecans at 350 degrees for about 3 minutes. 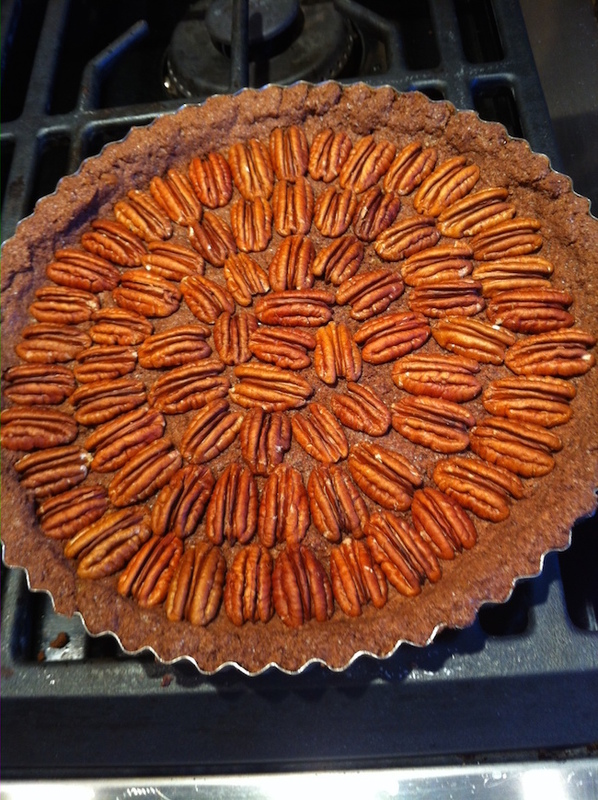 Line bottom of cooked chocolate tart crust in a pretty pattern with toasted pecans and let cool. Beat eggs in mixer. Add brown sugar and mix. Stir in melted butter and corn syrup. 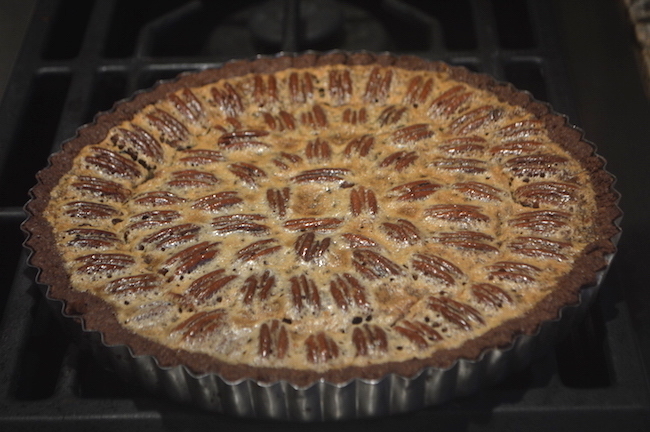 Add vanilla and pour over pecans (some pecans will rise to the top but most of the design will stay in place). Bake for 35 to 45 minutes till set and beginning to brown. 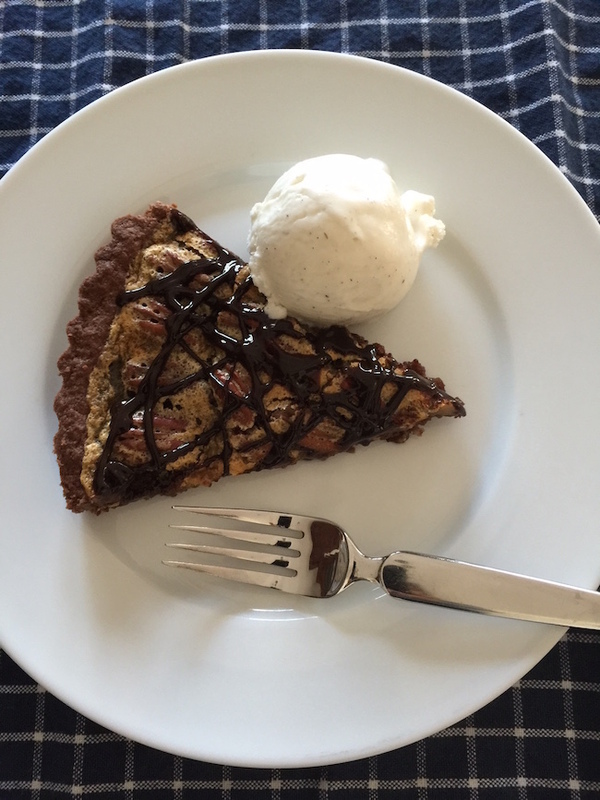 Cool completely and decorate top with chocolate syrup. Served chilled or at room temperature. 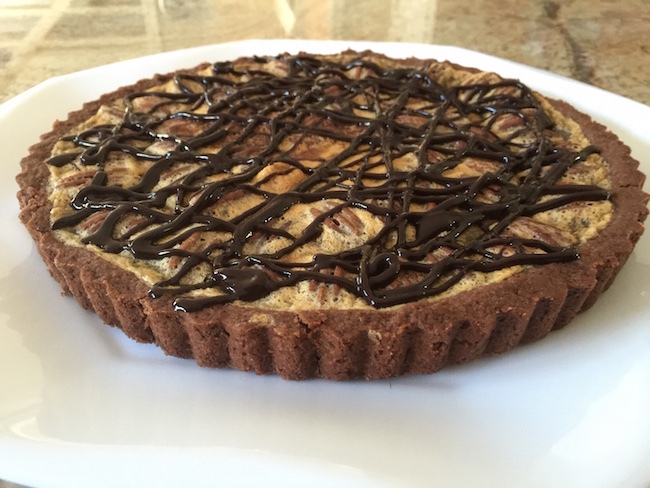 I like to freeze the cake ahead of my event in the pie tart which makes it even easier to take out of the pan. I then decorate it the day of or day before the event. OMG, Vicki! This is to die for – I may have to make this :o) Your photography is amazing!